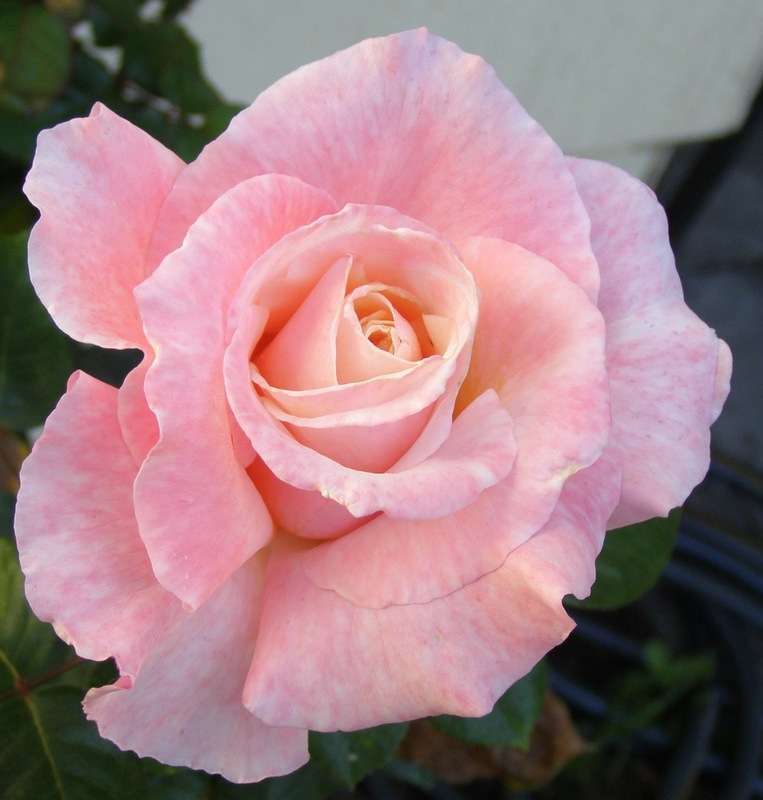 It was a great honor to have met Jerry Twomey who hybridized this rose in Watsonville, California. It has won Queen of Show twice at the Monterey Bay Rose Society's annual show for me. My three plants continue to produce new canes and flowers and do so regularly throughout the season. I'm not sure why this rose just didn't catch on across the country as it has many attributes which make it easy to grow, including resistance to powdery mildew and rust. The flower's shape is top among its winning qualities with perfectly radiant petals unfurling from a central focal point. It often produces a single flower on top of a long straight cane. It has more thorns than most gardeners might want and it tends to lose its lower leaves faster than reason would prevail. It also produces many side canes or short and stubby growth which needs to be removed before they catch falling leaves and promote disease. It has no fragrance and often turns an ashen color after a few days in a vase. But it keeps its color when left on the bush. Top photo was taken in midsummer and bottom photo in November.